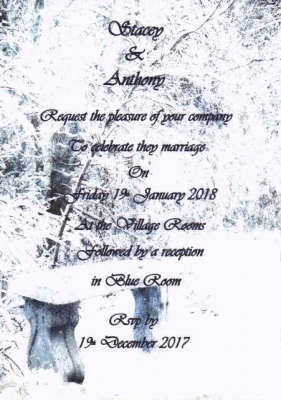 Winter wonderland bench wedding invitation. A printed frosty background with a snow filled bench. Measures approx 10.5cm x 15cm. Complete with all your wedding details printed including guest names if required plus envelope. Other matching wedding stationery is available.